Jacqueline was born in Brantford, Ontario, Canada in 1991. She had a very active childhood, growing up in the small country town of St. George. She has always played many different sports, and Hockey has been a big part of her life. Currently, skiing, motocross, wake boarding, long boarding, skydiving, rollerblading and of course ice cross down hill are part of her day to day activities. This active lifestyle goes hand in hand with her line of work as a professional Stunt Woman. Her Work can be seen in tv shows such as Orphan Black, and The Strain or the 2016 Film “Suicide Squad”. When Jacqueline saw Red Bull Crashed Ice on tv for the first time, She immediately knew it was something she had to try. She signed up for the next available qualifier, and was chosen for try outs. She made it through, and raced for her first time in Quebec City in 2011. Jacqueline fell in love with the fast paced, heart pumping sport and so began her journey to be the Woman’s World Champion. Without access to an ice cross track, practicing the sport can be difficult. She started training in many diverse ways to replicate the obstacles faced on an Ice Cross track. Skiing, Rollerblading, and skating daily. 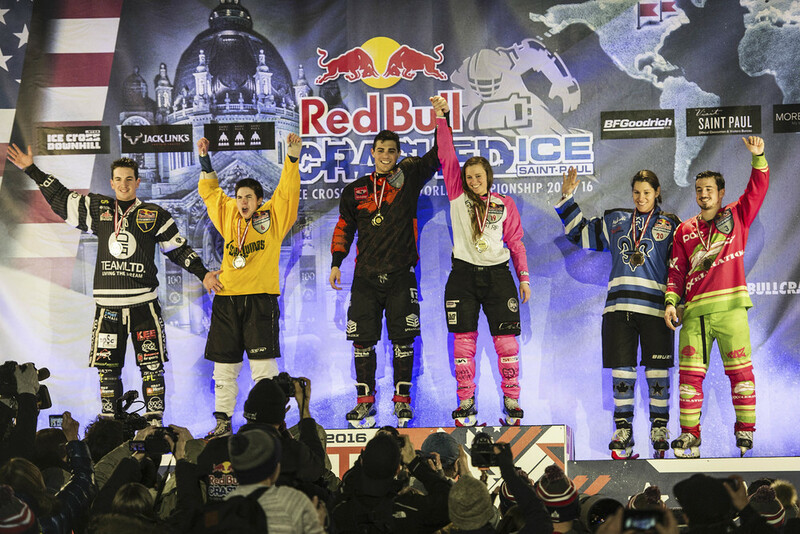 Her hard work and dedication payed off in the 2015/2016 season when she gained the title of the first Women's World Champion of Red Bull Crashed Ice. Jacqueline is very excited for this upcoming season. She is using the momentum of last years success to fuel her fire and train harder than ever before. 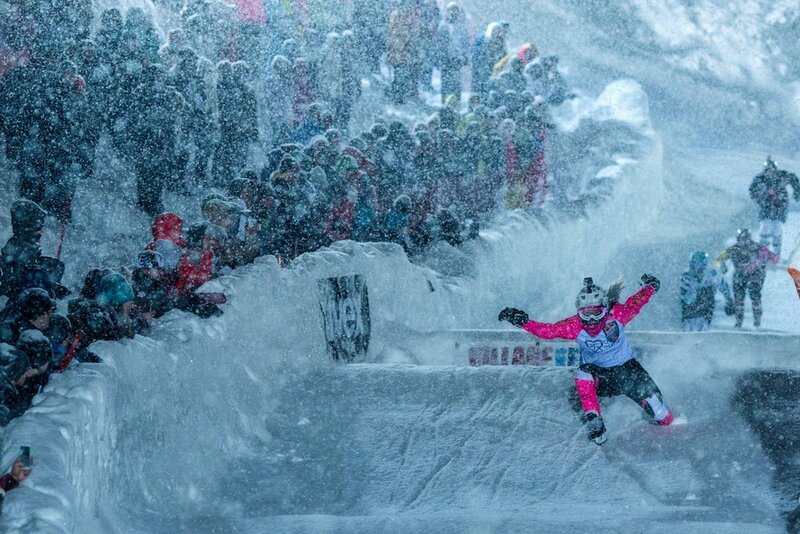 Please follow her journey to defend her title as the RedBull Crashed Ice Women's World Champion. 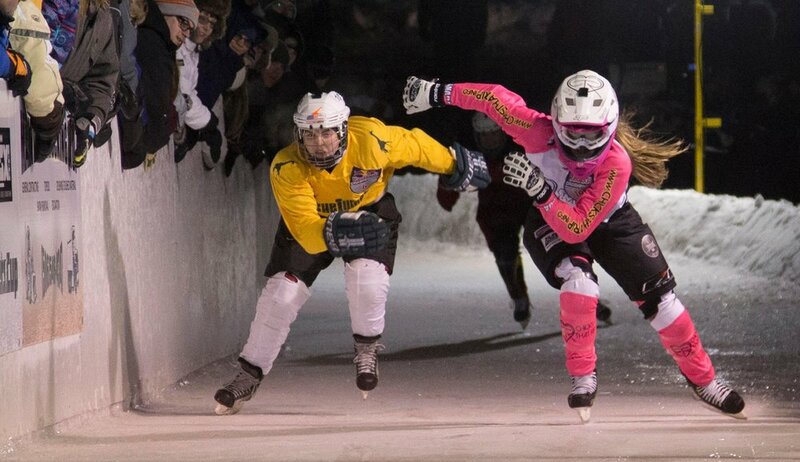 I won my first Red Bull Crashed Ice competition in Munch Germany last season in January at the Munich Olympic Park. This was the fastest Ice Cross track ever produced, the longest jump ever and some of the most dramatic action in sports history. This was one of Jacqueline's favourite tracks because of the speed gained on the final decent before the final jump. Thank you to all my sponsor who help make this journey possible!